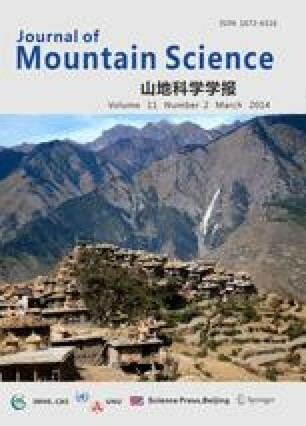 In order to evaluate the soil erosion rate for different land uses and make recommendations on land-use alternatives for erosion control in hilly and mountain areas on a Purplish soil (Regosols in FAO taxonomy), experimental data were obtained from three continuously monitored sites located at Yanting, Nanbu and Pengxi of Sichuan province. The data showed that the rank of erosion rate is farmland > unfenced grassland > fenced grassland > forestland. The erosion rate of farmland was more than 3 times higher than that of forestland and fenced grassland, indicating that restricting human activity is crucial for over-erosion. The erodibility was higher at the initial period of rainy season for all the three types of land use. The erosion rates of fenced grassland and mature afforestation land were not proportional to rainfall intensity because these land uses changed impact energy of the rainfall. This research showed that restricting human activity, intensifying the management of initial period of rainy season, and increasing the cover rate of land surface are the three major measures for soil erosion prevention. It is recommended that farmers should cease cultivation on farmland at the top of hills and steep slope land return those lands back to grassland or forestland.